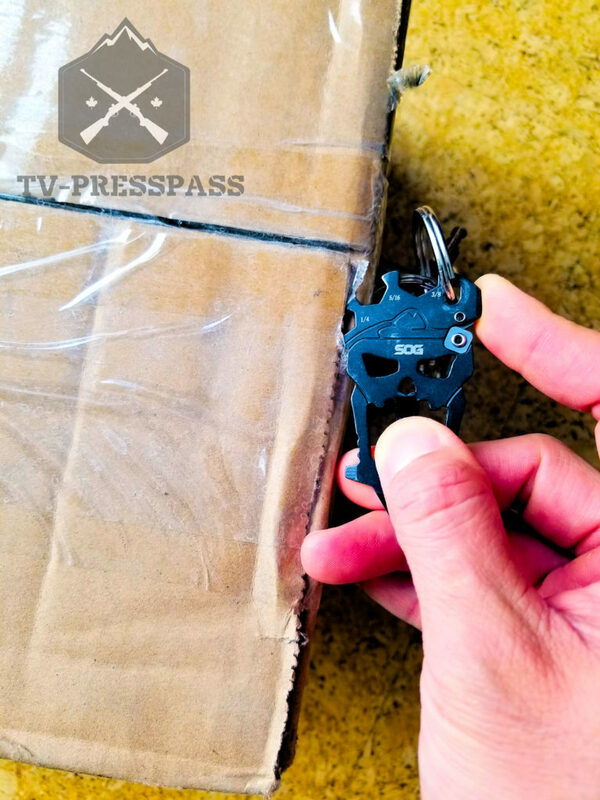 That past several months I have been traveling a lot by air and I wanted to have a compact little EDC tool that wouldn’t give me grief with CATSA in Canada the TSA in the United States. So enter in the picture the SOG MACV Tool. 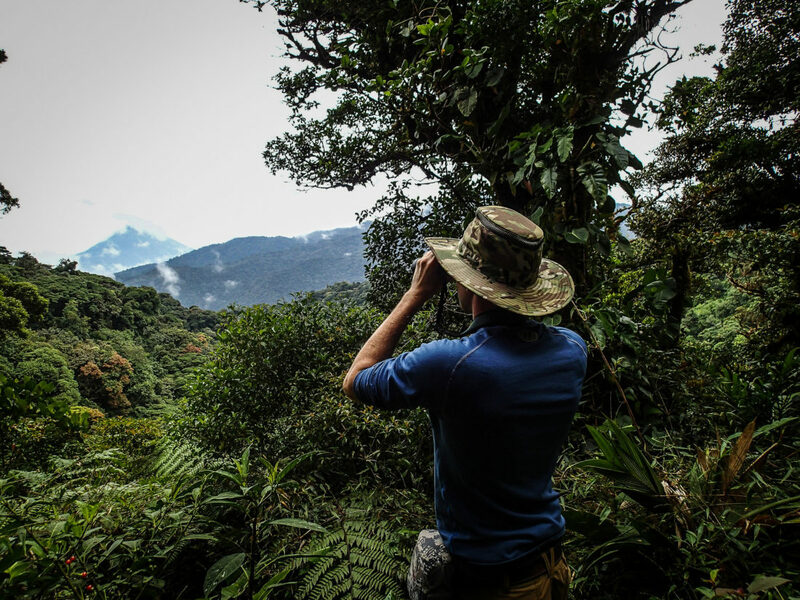 Looking at the shape and design of the tool it is clearly modeled after the legendary logo of the Military Assistance Command – Vietnam, Studies and Observations Group. 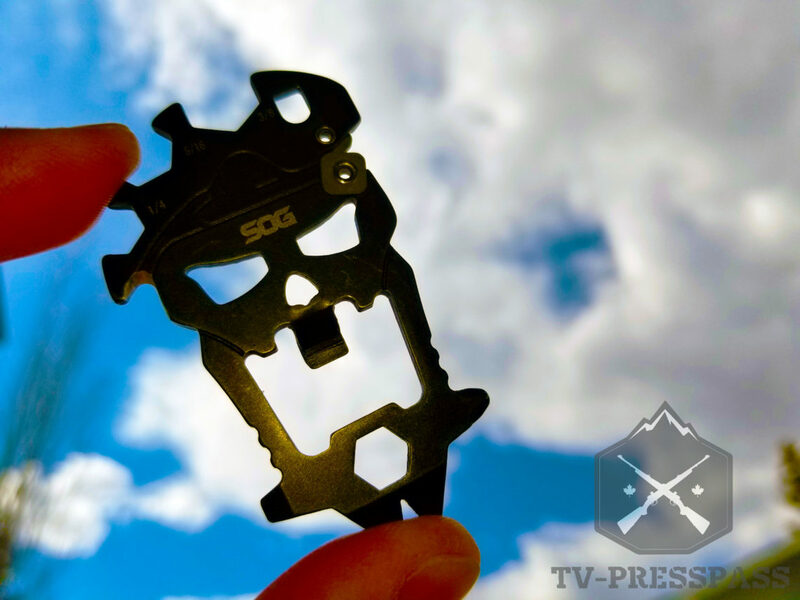 The SOG MACV resembles the skull with a beret on it, and it looks sharp. 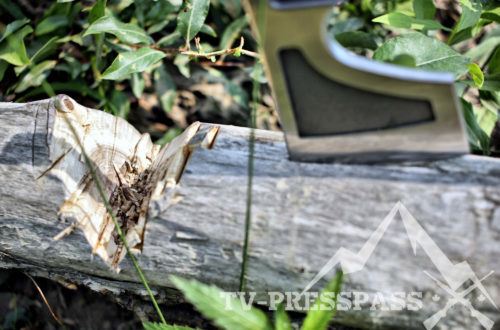 Not only that, this deceptively simple looking tool boasts 12 tools in one. Three wrenches, three screwdrivers, nail puller, pry bar, cord cutter, bottle opener, carbide sharpener, and hex bit driver. Starting with the base of the beret on the tool is where the cord cutter is. I had zero problems zipping through seven strand para-cord and using it to open boxes sealed with packing tape, it does what it’s advertised to do. Now moving clockwise up the beret side is where the wrenches sit. 1/4”, 5/16”, and 3/8” wrenches. I found the cuts in the wrench weren’t straight enough to get a good positive and tight hold on tightening or loosening small bolts, but they can get the job done in a pinch. Moving over to the one o’clock position is the large Flathead screwdriver. This works really well on all midsize to small Flathead screws. Just below it is the carbide blade sharpener. 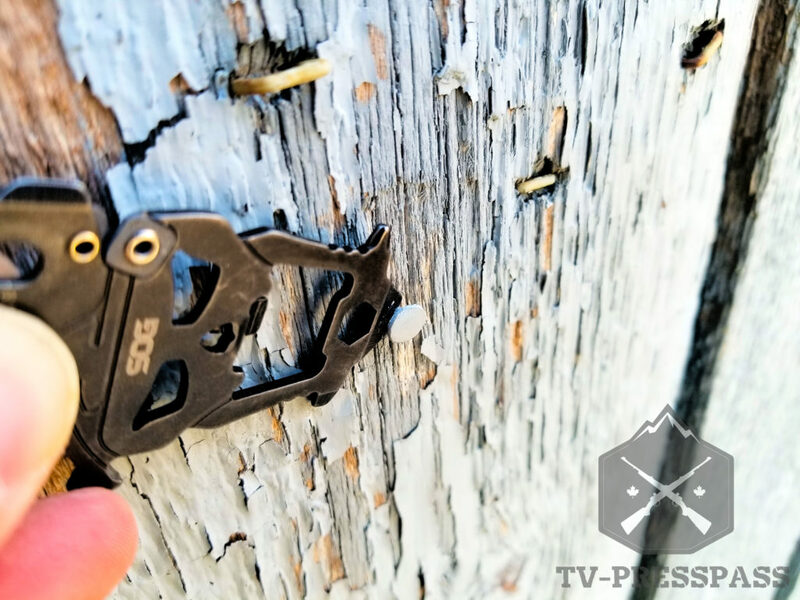 I found this to be most useful when I needed to quickly work out burrs and nicks on my folding knives and smaller fixed blades. After using it on about 7-8 of my blades the two opposing square carbide blocks started to loosen ever so slightly, but they also stayed in place for the most part. Moving down to the four o’clock position is the Philips head screwdriver. Much like on the Gerber Shard, this head is only good for anything slightly larger than what you’d need a precision screwdriver to do, again in a pinch it can be used, but it is is a little frustrating because the head is too small and shallow for it get a positive lock into a screw head. At the six o’clock is the nail puller/pry bar. It’s a bit of a cop out to call it two separate tools there. You really can’t pull a nail out without using the lip of the bottle opener as leverage to pry the nail out. Since the tool is so small prying effectively is limited but it can be used in a pinch again. The 1/4 inch hex driver is situated directly above the nail puller and it does a better job of turn bolts than the 1/4 inch wrench. 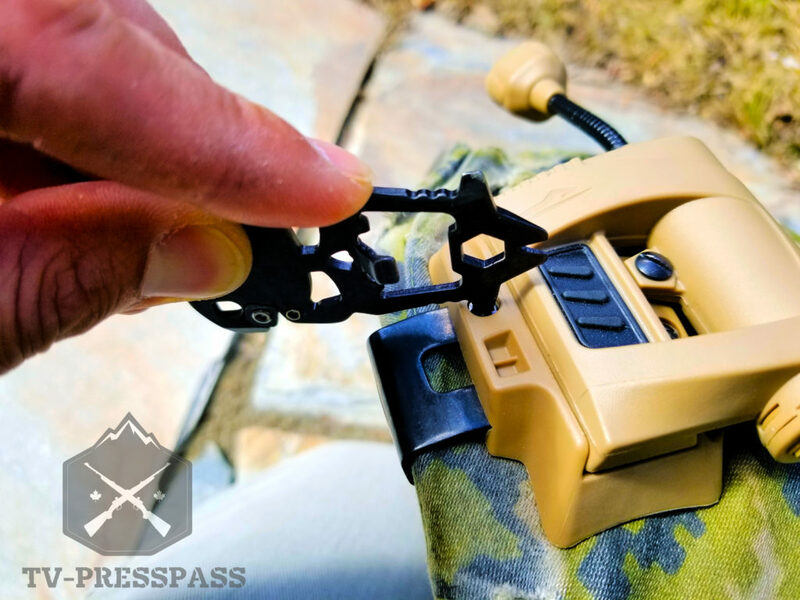 Right in the middle where the mouth of the skull is on the MACV tool is the bottle opener, of which I have used far more than anything else on the tool. 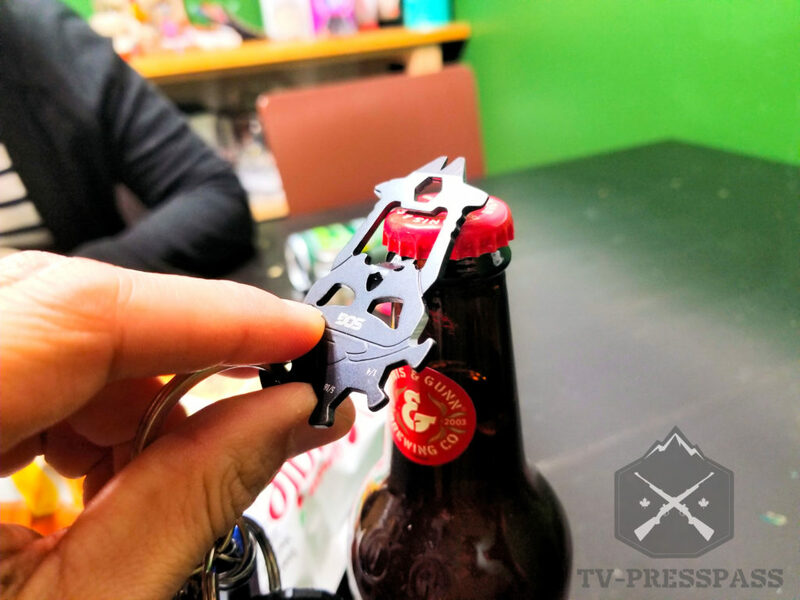 It does an excellent job of popping tops, I’d prefer the prying lip of the bottle opener to be a little wider by maybe 50% which would help with reducing the wobbliness (yes it’s a word) when opening bottles, that more nit picking on something that hasn’t failed me yet on the tool. At the seven o’clock is the small Flathead screwdriver which I tend to use more often than the larger Flathead at the one o’clock because I found I could landmark the head a little better than the on the other side, which really shouldn’t make a difference, but that is just my preference. 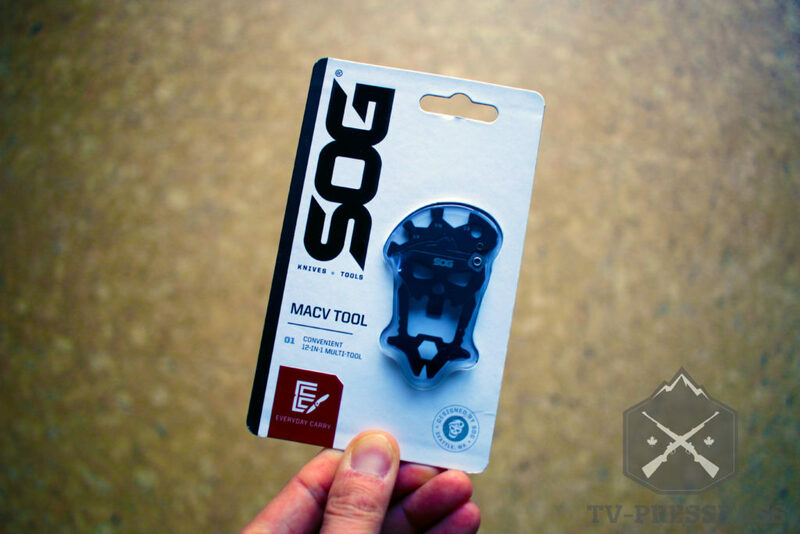 In terms of ease of use and transport I find the SOG MACV tool to be in the perfect spot for me. TSA gave me grief about my Gerber Dime more than once to the point where I’ve just left it at home despite a more robust tool set. 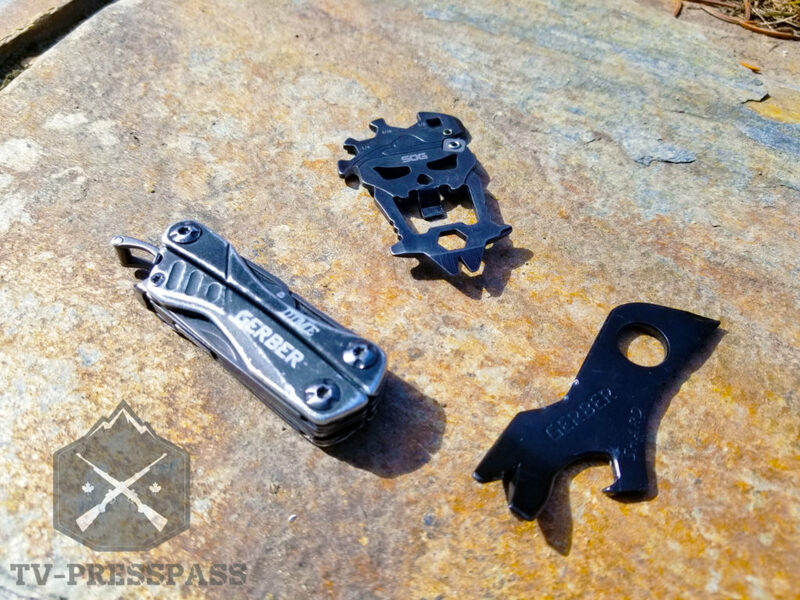 On the flip side the Gerber Shard which I had no issues get through airport security just didn’t have enough usable tools on it for it to of any use other than an “okay” bottle opener and cool looking key chain accessory. 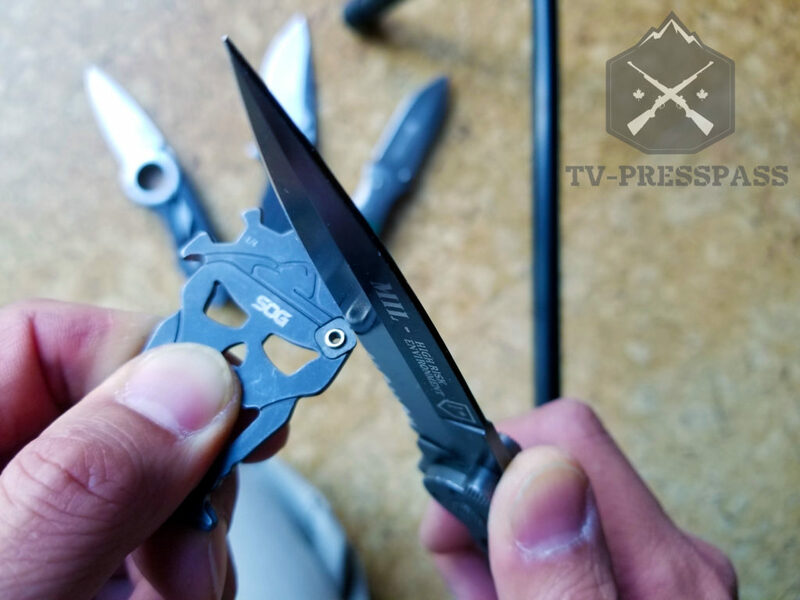 Now, if you want to talk about cool factor, the SOG MACV has it in spades with it design and homage to the Vietnam unit of legend and the tools on it are actually very well placed and thought out. I also had no getting the MACV through airport security on both sides of the border. I even got a few comments on the cool design. People dig skulls I guess. 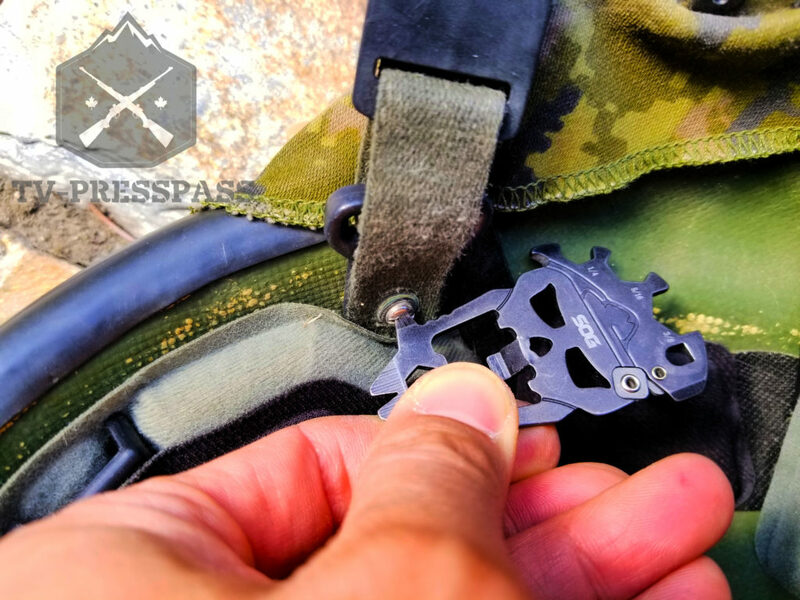 Overall SOG did a very good job of making a low profile yet useful EDC tool that you can take anywhere and use in a pinch. 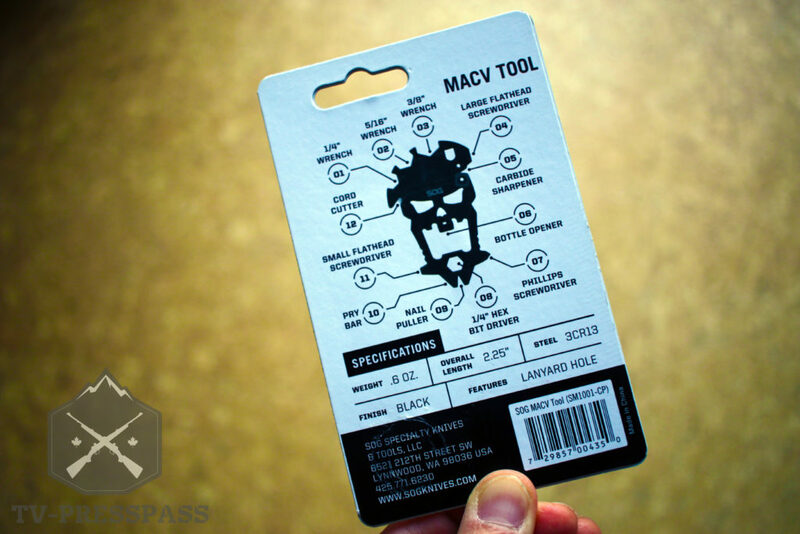 You can pick up the SOG MACV tool pretty much anywhere, throw it on your car keys and you’re good to go.